Golf is a well established sport in England. It has in excess of 1,900 golf clubs according to the English Golf Union. There are more golf courses in England than Scotland, Ireland and Wales put together. 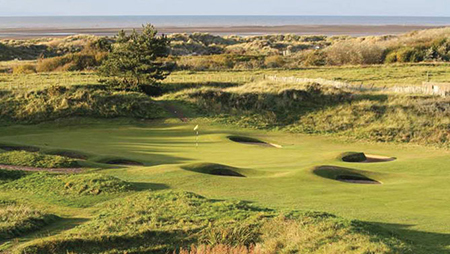 England’s Golf Coast (the Lancashire coast) is home to 11 of the finest golf courses in Britain. With no less than 7 courses in the ‘Top 100 Courses of the UK & Ireland’ the concentration of championship golf available within England’s Golf Coast is unparalleled. The 3 Open Championship venues of Royal Birkdale, Royal Liverpool and Royal Lytham & St. Annes have hosted The Open an impressive 32 times between them since 1897. England is famous both for its inspiring linksland and for the remarkable “heathland” courses so unique to golf in that country. The Crown Jewels of golf in England are found orbiting London, such as Sunningdale, Walton Heath, Wentworth, and Royal St. George’s, and what a privilege it is to be able to play these immensely private English golf clubs. Finally, for pure enjoyment and sheer delight, say “Westward Ho!” and head to the Devon/Cornwall region of England, with Royal North Devon and St. Enodoc Golf Club anchoring a cluster of glorious links courses. Although overlooked in the past as a golf destination, England offers nearly untapped potential for new itineraries and extraordinary golf, and is soon to be overlooked no more! Golf vacations in England grant golfers access to an extremely diverse golfing landscape, perhaps totally unique the world over, with tremendous golf courses, resorts and hotels to suit every taste. England has 7 courses that hosted Open Championships. 4 are still in the rotation, and in years ending in 1, 3, 6, and 8 the Open Championship takes place in England.